Check out this newest release at Starbucks. 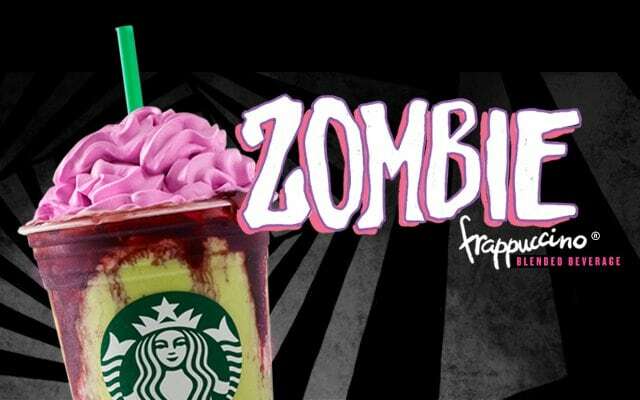 The Zombie Frappuccino® blended beverage will be available October 26. It’s a chilling concoction of green caramel apple, a drizzle of dark mocha, and pinkish whip. At participating stores. While supplies last.